This past weekend I was able to catch up on a lot of holiday films and brush up on my prep for awards season. This post features reviews of 4 movies that all received at least 3 JRs including some phenomenal lead acting performances. First of all I must recommend seeing a movie at the new Regal Springfield 12 Theater. 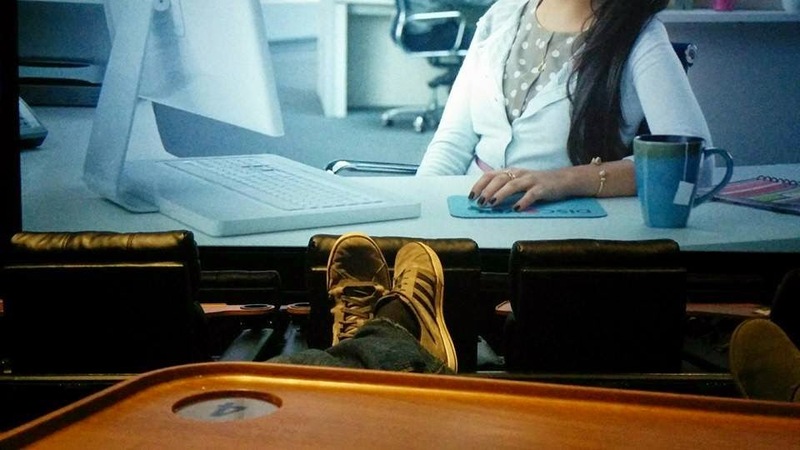 My wife and I watched the last two movies of this post back-to-back at that theater in true movie luxury. Rob Marshall essentially brought back the movie musical with his 2002 Best Picture winning film Chicago (which coincidentally I saw at the OLD Springfield theater over a decade ago). After a few other successful musical-movie conversions (Sweeney Todd, Les Miserables, Mamma Mia, etc..) over the years, one of Stephen Sondheim's most acclaimed musicals became the latest challenge for Marshall. Into the Woods brings together an all-star cast and in the capable hands of Marshall becomes a satisfying, entertaining romp for both fans of the play as well as newbies to Sondheim's fairy tale epic. Into the Woods is sort of a mishmash of a variety of well-known fairy tales strung together with an original story involving a baker and his wife, setting out to reverse the curse that a wicked witch has cast on their lives. The various characters meet up in the woods on their various quests and missions and Sondheim's signature lyrical prowess livens up the melodies along the way. Having seen this play back on Broadway as a child I was eager to see how it would translate to film. I am happy to say that the screen is a perfect medium for this story. With so many disparate narrative threads and locations, it's so much easier to cut back and forth on film rather than set the stage for a play. Marshall does a great job of interconnecting the stories and keeping the audience interested in all that's going on. The setting, costumes and CGI effects are all well done but the heart and soul of this movie is the excellent acting by this ensemble cast. Emily Blunt (the Baker's Wife) and Meryl Streep (The Witch) are the two lead stars, each giving heart and emotion to all the songs they sing. Streep is particularly engaging to watch and you can just tell she relishes the chance to play this character at this point of her career. It's a relief for her to let loose after so many serious roles in the past. 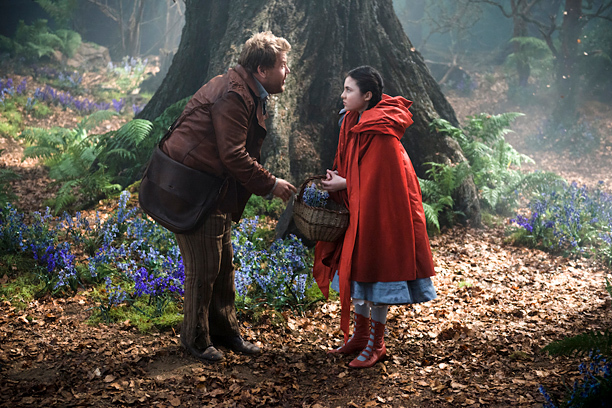 Anna Kendrick continues to show her singing chops as Cinderella and both child actors excel as Little Red Riding Hood and Jack. In-fact Daniel Huttlestone (Jack) is in his second big-time movie musical having played Gavroche in Les Miserables two years ago. Chris Pine shows he can not only sing but play over-the-top bravado as the Prince, highlighting his performance with the movie's funniest musical number "Agony" in which two princes talk about their own perils in love while thrashing about comically in a waterfall. The only real weak spot is Johnny Depp, who's Big Bad Wolf becomes almost a throw-away part and comes off REALLY creepy and pervy. This is a near perfect film that I had to knock a slight rating score because one of my favorite songs "No More" was left out due to the change in narrative from stage to screen. Still, what was left in is exceptionally done and this movie is simply a great time for the audience, young and old. 4.5 out of 5 JRs for one of the better films of 2014 and a valid stage-to-screen successor to Sweeney Todd for Sondheim & Marshall. Selma is a timely look at race relations in Alabama during the 1960's . Newcomer director Ava DuVernay brings a gritty close-up look at the drive and passion of Dr. Martin Luther King Jr. and his work with the Southern Christian Leadership Council in Selma, AL. The film follows King closely as he gives various speeches to his followers and works behind the scenes with President Lyndon B. Johnson (the always excellent Tom Wilkinson) to further improved voting rights for African Americans. The movie itself is a bit long and poorly paced but does a very good job at bringing the audience directly to the grassroots civil rights movement of the decade. 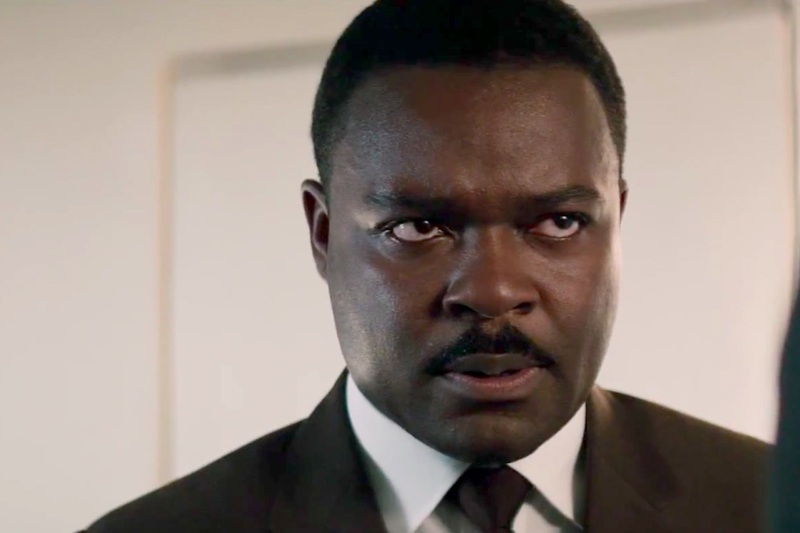 The real gem that comes out of the film is David Oyelowo who portrays Dr. King with a truly authentic delivery along the lines of other great biopic performances such as Lincoln (Daniel Day-Lewis), Johnny Cash (Joaquin Phoenix) and Ray (Jaime Foxx). Oyelowo (who is British and like fellow countryman Chiwetel Ejiofor completely sheds his native accent) embodies the quiet confidence of King through carefully orated messages. He is able to display a wide range of emotions from a quiet whisper in the comfort of his own home to passionate, booming, elegant speeches designed to rouse the drive in millions of burdened citizens. Never before have we seen such a confident and accurate portrayal of Dr. King. Oyelowo simply channels the Reverend and gives one of the best performances I've seen in years. DuVernay does a good job of making the film feel authentic, mixing in television coverage with you-are-there sequences of protest and violence. She often films Oyelowo in close-ups that allow you to feel the drive and determination he exudes in spreading his message to all that will listen. This is a rewarding and interesting film that could have been trimmed in several areas to make it more cohesive. Still, Selma earns a solid 3.5 out of 5 JRs and will most definitely catapult David Oyelowo to a well deserved Best Actor nomination. Benedict Cumberbatch is simply one of the best Actors working today and director Morten Tyldum gives him perfectly tailored material in The Imitation Game, the true story of introverted, ornery British mathematician Alan Turing who along with a group of colleagues attempts to crack the code of Nazi Germany's Enigma machine. During a critical stretch of World War II, the Nazis were able to communicate across the globe via the Enigma communication system, a device that sent encrypted messages based on predefined settings that changed on a daily basis. Turing goes against the grain of his superiors and ends up building one of the world first computers to assist with his code breaking efforts. I won't give away the key aspects of the rest of the plot (in case you don't know the whole history behind these events) but the code cracking process itself makes for gripping film. Tyldum is able to perfectly pace the story and inter-splice key elements of Turing's adolescent past that help define who he is as a person. The result is one of the more fully developed characters I've seen in a while on film. Alexandre Desplat's moving score supports the narrative with the perfect tone for this type of movie. Cumberbatch is perfect in the role of Turing, delivering a stuttered nuanced performance that makes you realize the genius that is trapped in such an eccentric man. Cumberbatch is never showy and gives us some real built-up emotion towards the end of the film. He works wonderfully with Keira Knightley who plays the young love interest and fellow code-cracker Joan Clarke. Knightley is equally understated in her performance and the chemistry between the two is very unique and believable, although I find it VERY hard to believe that the smartest girl in the UK would look as beautiful as Keira, but hey! Matthew Goode and the rest of the supporting cast (including Game of Throne's Charles Dance) are solid in their work and help make this a very enjoyable and interesting film. The story of Alan Turing is a compelling one and his ultimate demise and eventual death become a sad footnote of such a brilliant individual's life. This is Cumberbatch's showcase in a role he was born to play and in his best performance of his brief, illustrious filmography to-date. 4.5 out of 5 JRs for a richly rewarding and fascinating film. As good as Cumberbatch is in this film, I fear that Turing's similarities to Benedict's Sherlock Holmes role on the BBC series will hurt his chances to win Oscar. The work done by Oyelowo, Michael Keaton and Eddie Redmayne (from what I hear) will probably be looked at as more of a stretch thus signifying a greater overall performance. Cumberbatch will get his moment of Oscar recognition at some point in his young career but I feel that this film will not be that moment. Finally I'll get to the much talked about directorial effort of Angelina Jolie, adapted from a very popular biography. Unbroken is the true story of WWII veteran and Olympic athlete Louis Zamperini who was in a plane that crashed in the Pacific Ocean and spent 47 days floating in a lifeboat only to be captured by Japanese soldiers and interned at a prisoner-of-war camp for over 2 years. The film spans most of Zamperini's life and is told through a series of flashback montages spliced into a narrative that starts with the plane crash. Relative unknown Jack O'Connell stars as Zamperini and brings a clean cut youthful determination to a very difficult role. We see Zamperini endure unimaginable suffering and adversity over a long period of time. There are some brutal sequences set in Japan that show how Zamperini's captor (played with cool intensity by Japanese pop star Miyavi) singles out Louis and makes an example out of beating him senseless over and over again. Elements of the life raft sequence (47 days at sea with 3 fellow soldiers) seem to be taken from Life of Pi, Cast Away and Robert Redford's All is Lost. The survival at sea story has been overdone in the past few years. This movie is actually very well directed. Jolie has a great eye for cinematography and a lot of the scenes in the film are beautifully shot. I especially liked a sequence in the middle of the film when she gives a point of view shot of Zamperini blindfold in route to a different POW camp. The frame is almost entirely black except for a small sliver of light in the lower left corner which really does mimic what it's like to be blindfolded. Despite the clever camera work though, I felt that the movie was entirely too long and could have been trimmed down. Also the back and forth flashbacks didn't seem to work well and chopped up the overall narrative too much. O'Connell is a revelation as Zamperini but I felt myself beaten over the head with his story of perseverance. Jolie needs to learn that sometimes less is more and pairing the movie down a bit would help make it more powerful and watchable. That being said, this movie is worth a viewing, if only for the recollection of Zamperini's amazing story. A solid, but limited 3 out of 5 JRs for Unbroken. Whew... that's all for now. Wait.... one more bonus quick hit review is a 4 JR rating for The Interview which I saw at home on Google Play (thanks hackers!). Seth Rogan and James Franco play news magazine video journalists that get invited to travel to North Korea and interview Kim Jong-un (played perfectly by Randall Park). This movie is very funny and worth seeing if you enjoy the Apatow/Rogan/Franco world of comedy. I think I still need to see a couple more films before I can officially give my annual Top Ten Films post. Look for that post in about two weeks as American Sniper, Theory of Everything and Inherent Vice are still on my list.